For the fourth year in a row, the University of Wisconsin MBA Consortium program is ranked among the top 5 percent of all online MBA programs in the nation, according to the 2018 U.S. News & World Report's Best Online MBA Programs ranking. 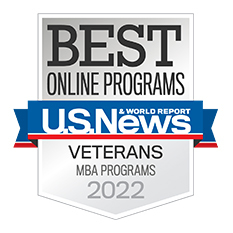 Additionally, the program tied for ninth in the U.S. News & World Report's Best Online MBA Programs for Veterans. Tying for 14th in the overall rankings this year, the UW MBA Consortium is the top online MBA program in the region that includes Wisconsin, Minnesota, Michigan, Illinois, Iowa, and Ohio. In rankings from previous years, the program tied for 12th in 2017 and 2016, was 10th in 2015, and was recognized in U.S. News & World Report's Best Online Graduate Business Programs listings in 2014 and 2013. During this six-year period, the number of online MBA programs surveyed has grown over 15 percent, to 282 this year. 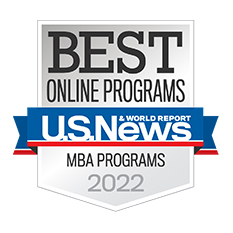 "We are honored to again be recognized as one of the best online MBA programs in the nation," UW MBA Consortium Director Dr. Robert Erffmeyer said. "Since our inception, we've been committed to providing our students with an outstanding learning experience that is also flexible, personalized, and affordable," UW MBA Consortium Distance Learning Coordinator Jessica Franson said. "It's great to see that U.S. News & World Report has acknowledged our commitment to online learning excellence and the needs of our students with our top-tier rankings." The UW MBA Consortium includes MBA programs at the University of Wisconsin-Eau Claire, University of Wisconsin-La Crosse, University of Wisconsin-Oshkosh, and University of Wisconsin-Parkside. The Consortium is managed by UW-Eau Claire. "This recognition reflects the quality we provide our students," Erffmeyer said. "Our success could not be achieved without the talented and dedicated faculty and staff at our four University of Wisconsin partner schools."